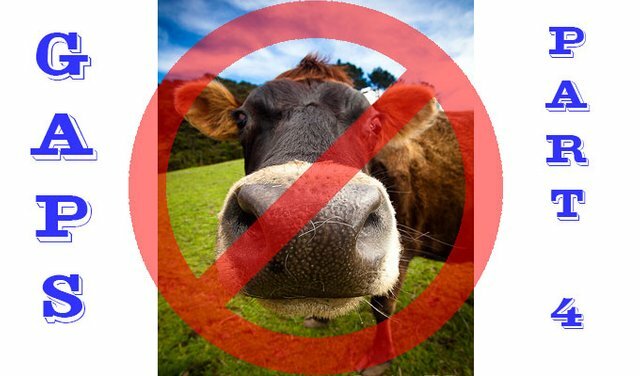 GAPS Diet Part 4 – What if I don’t or can’t eat ANIMAL foods?steemCreated with Sketch. 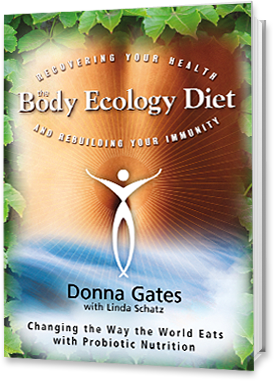 Can we heal the gut, and the subsequent chronic illnesses, with limited (or no) animal foods? This isn’t what I planned for part 4 – I was going to give you a bunch of menu ideas. But after Steemit chatting with another member who can’t eat animal foods, I see there is a need for this post first. OK, so we have different strategies depending what you can or can’t eat. You don’t have to eat dairy to do GAPS, though butter, ghee and fermented products do have beneficial properties. If you eat other animal products, have other animal fats for Vitamins A & D. Sauerkraut or coconut water kefir are other good fermented foods. This is inconvenient, as eggs are an easy versatile & nutritious GAPS food. But it’s not insurmountable, you still have plenty of other options, and after some healing, you may be able to have them again. If you can’t eat fish, that’s OK, just focus on poultry and red meat. Broth, especially bone north, is one of the primary healing foods in GAPS, so is very important. But some people can’t have it for a variety of reasons. Some people can’t tolerate bone broth to start with, if they are sensitive to amines. • If you react to bone broth, try starting with a meat stock (which is essentially the gravy you get from stewing up some meat + vegetables + seasoning). • Start with a teaspoon of meat stock in a cup of hot water and build up. 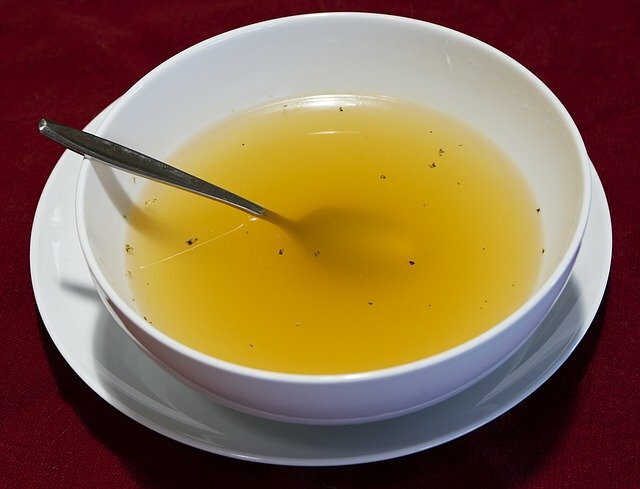 • Once you are able to tolerate a cup, go on to bone broth. • Start with a short cooked bone broth + again start with one teaspoon in a cup of hot water, and gradually build up. • Yes, it’s still from animals, but coming in a powdered form may make it easier to transition. • This is the situation of the member I was chatting with. She wants to try broth, but can’t. • So this next suggestion is for you. It isn’t technically GAPS, but it’s another way to address leaky gut. Studies have shown that l-glutamine can help prevent breakdown of the mucosal tissue of the gut, and many health practitioners are recommending it to help with leaky gut. • First thing is to make sure you choose a pharmaceutical grade product. We’re checking out the Jarrow product at present. • If you react to animal foods, you don’t know whether you might react to this, so start by buying the smallest (cheapest) quantity you can, either capsules or powder is fine. • The first time you use it, get the tiniest amount you can (open a capsule if that’s what you bought) and add it to some food you’re eating. • If you react, put it away in the cupboard and try again when you’ve healed a bit. • If you don’t, increase the amount the next day. • A smoothie is the easiest way to take it but it can be sprinkled on other foods. • By this time, you will probably want a larger tub of powder, which will be worth it once you know it works for you. I do have some concerns about how healthy it is, though, which I’ll talk about in another post. But essentially, GAPS is not for you. Maybe the Body Ecology diet would be more suitable. Thanks for reading and feel free to ask questions. Follow me for more nutrition, health, food, lifestyle and recipe posts. • The travels of Weston A Price and his discoveries of what was included in a range of healthy diets. cutting back on animal intake to improve health makes about as much sense as trying to heal hypoxia by cutting back on oxygen. Even when we don't entirely agree, I know I can count on you to have a strong opinion. In this case, I do agree but wouldn't have put it quite that strongly. Sadly there is a lot of bad info out there, that people are following. Which comment? I can't see a flag, but maybe I'm looking in the wrong place?? all of them...including this one. Your remarks are greyed out as far as I can tell. You must have annoyed someone. Thanks so much for writing such an organized, informative post. I really appreciate the time you devoted to adding this into the series. I'm very excited to try the l-Glutamine and hopefully be able to work up to bone broth for the healing benefits. You're welcome. I hope it works for you, as your current situation sounds rather difficult. Keep us all posted. 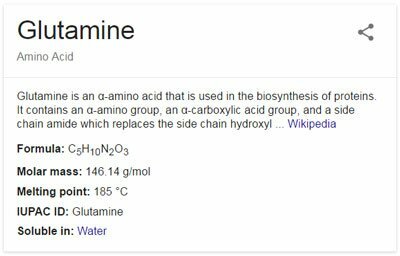 I usually do a parasite cleanse every few months (that was a problem that surfaced 18 months ago) so once that is over, I'll get started with the l-glutamine and fish bone broth. I had actually never heard of that before, so interested to try it. So thankful fish doesn't bother me! My nutritionist friend who is about the healthiest person I know told me that a raw vegan diet is great for about three months, then it's not so good. The body needs clean animal protein. Yes, that's what I believe too - that plants are good for cleansing but not for long term nourishment. Unfortunately, there is a lot of misinformation (or partial information) out there, that people make life changing decisions based on. I want to get the other side out there, while still being respectful of the choices other people make. The protein from animals arn't clean, plant protein are the clean sorse. The animals get their protein from plants. By clean meat I mean pastured, grass fed, organic, etc. 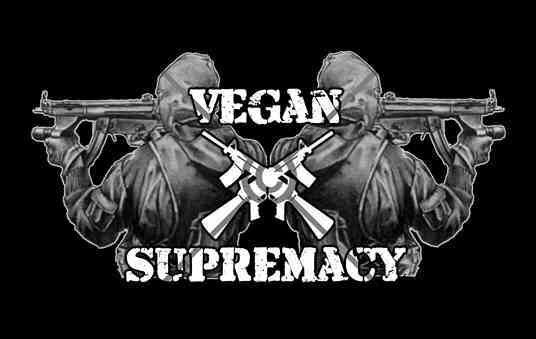 Protein from animals are sekondary protein hwitch have the wrong Ph, its too sour from cows and pigs. Plant protein are easyer and helthyer for the human boddy to use. Meat are tester then beans and rise but comes with the wrong Ph and unhealty fat and colosterol.